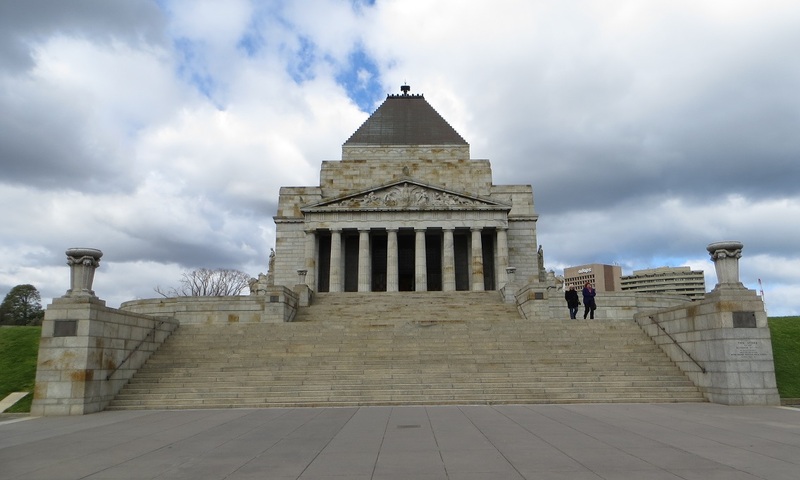 The Shrine of Remembrance in Melbourne was opened in 1931 as a memorial to all Australians who served in war. It stands on the edge of the Royal Botanical Gardens, on the southern end of city center. The only piece of Australian military history with which I’m familiar is Gallipoli, because of the Mel Gibson film. During World War I, an Australian and New Zealand Army Corps (ANZAC) was on its way to England for training when it was diverted to protect British controlled Egypt from the Turks. The troops landed on the Gallipoli peninsula, in what is now Turkey, and proceeded to be slaughtered during an ill-advised eight month campaign to capture Constantinople. In Australia (and New Zealand), April 25 – ANZAC Day – was originally a day of remembrance for those who died at Gallipoli, but has since morphed into a national holiday to honor all those who died in war. There’s a marble Stone of Remembrance in the center square in the photo on the left, with an inscription that says, “Greater love hath no man.” Once a year, on November 11 (Remembrance Day – their version of Memorial Day) at 11 a.m., a ray of sunlight goes through a skylight in the roof of the memorial and shines on one word in that inscription: love. 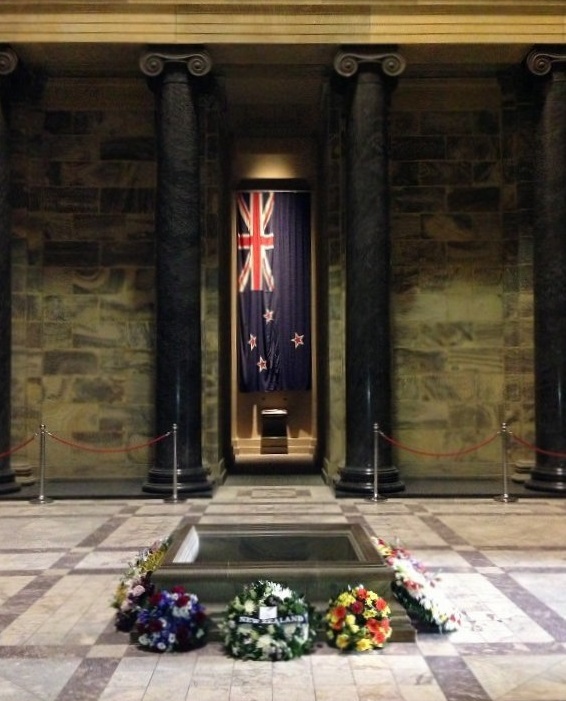 Gallery | This entry was posted in Victoria, Australia and tagged Gallipoli, Melbourne, Shrine of Remembrance. Bookmark the permalink. I’ve been reading “First Victory: 1914” by Mike Carlton and it’s pretty fascinating stuff. You might be interested in the book. I was interested to read the inscription as the verse is also inscribed on the memorial to Titanic’s sixth officer. Thanks for the recommendation. I’ll definitely look it up. I know almost nothing about WWI, so it’s time I did a little reading.